"12th century building, on the bank of the Rhône. 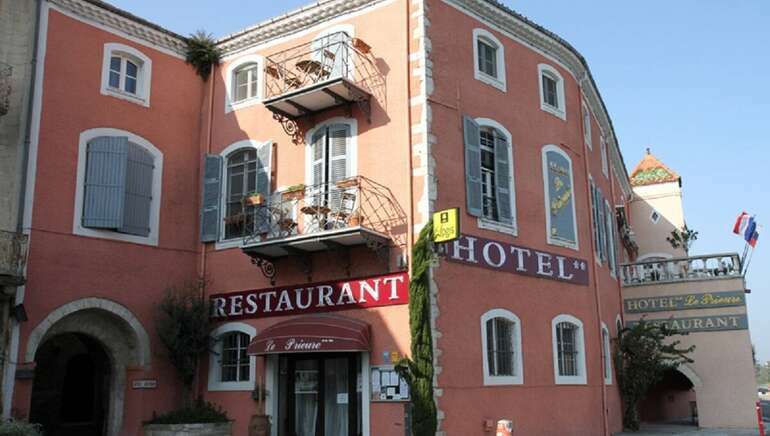 Charming hotel, gastronomic cooking. Unique in the Ardèche: the gastronomic restaurant with view on the Rhône and with its tables set where were once the ancient water wheel, the ancient chapel is now the bistro with a nice panoramic view on the terrace."